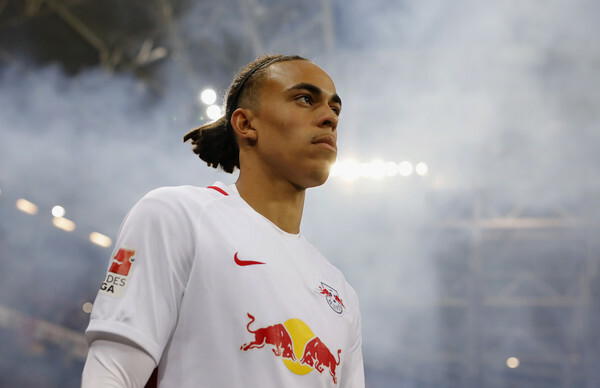 Merseyside club started negotiations with RB Leipzig centre-forward Yussuf Poulsen and planning to make a bid in July when the transfer window opens again. Reds need a new prolific striker to improve the front-line and Denmark international is the perfect option in this situation. He has an impressive campaign and proves his worth one more time. Jurgen set to spend big money on the footballer during the summer transfer window. Yussuf joined the Red Bulls from Lyngby in 2013 with a €2m deal. He is one of the best centre-forwards in Bundesliga and a key figure for the club. In this season, Poulsen already played 38 matches, scored 18 goals and made six assists in all competition. It is a perfect result, and he can improve his consequences with high-class teammates. Danish player has contracted with the German club until 2022, and his release clause is around €30m. His price could increase during this campaign and become much more. The 24-year-old striker is a regular member of the national team and also helped them to reach the playoff in the 2018 Mundial, but after losing in a penalty shoot-out against Croatia, they kicked out from the tournament. Reds will do everything to add him this summer as Daniel Sturridge and Divock Origi linked with several clubs, Dominic Solanke moved to Bournemouth, and their replacement is necessary. English club heavily tied with Serbian centre-forward Luka Jovic, Benfica starlet Joao Felix, Lyon player Nabil Fekir, Sporting midfielder Bruno Fernandes, Napoli winger Lorenzo Insigne, Ajax centre-back Matthijs de Ligt and Cagliari footballer Nicolo Barella.